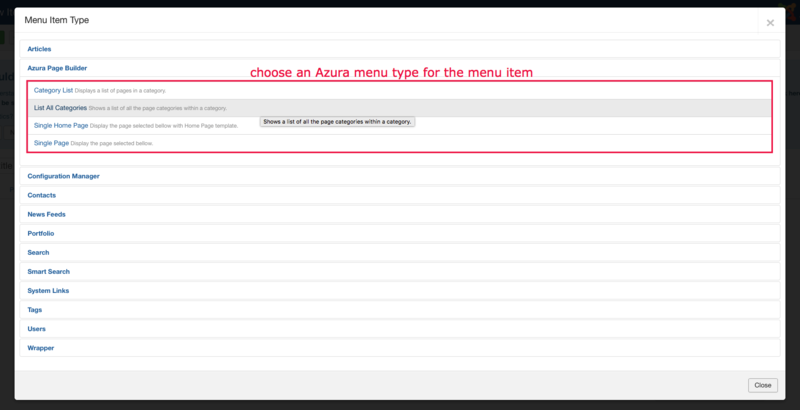 There are three menu types for Azura. 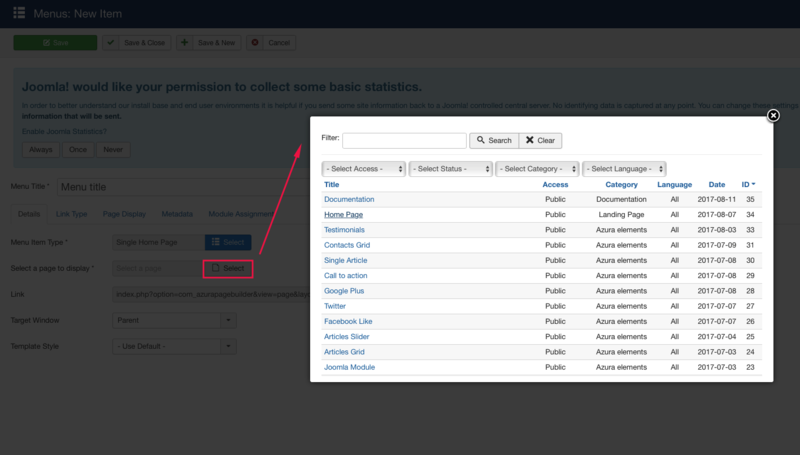 To create a new menu item, go to Menus -> All Menu Items admin menu then click to New button on the top bar. Menu: which menu the menu item will appear in. 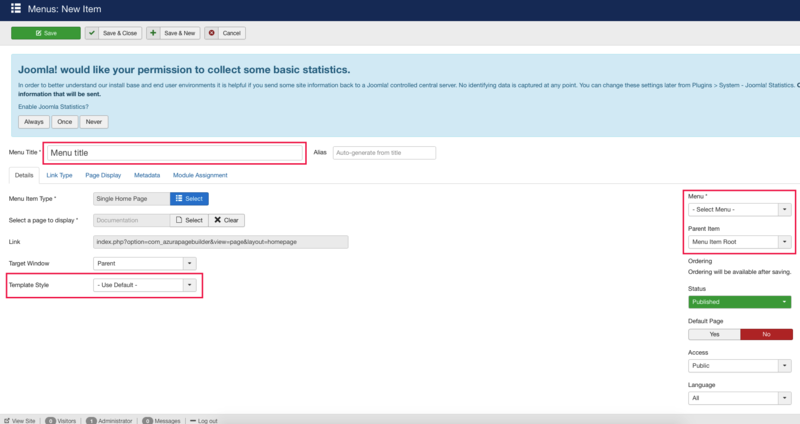 Parent Item: whether the menu item is child of a menu item or is top level in the menu ( selected above ). Template Style: select different style for the menu item or just use default. Then save it with Save button on the top bar.